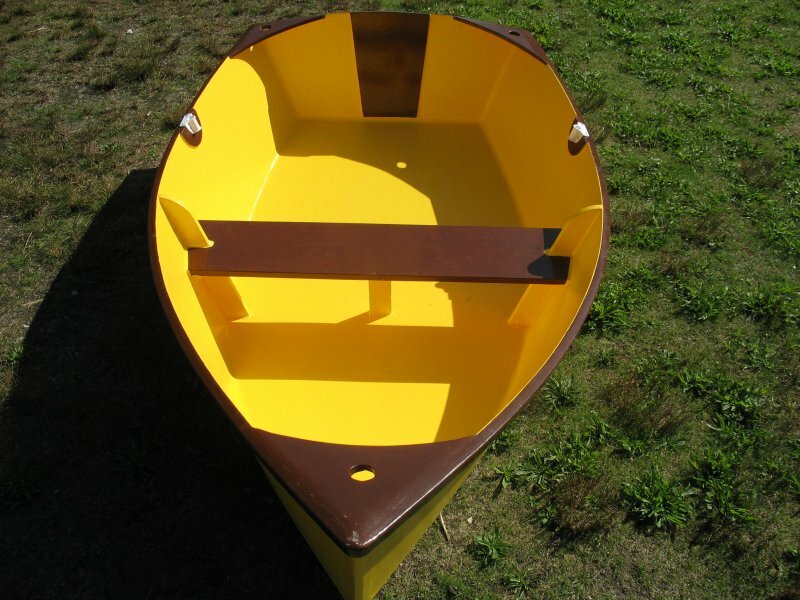 This small dinghy can be used for fishing, pleasure rowing or as a tender for a bigger yacht. 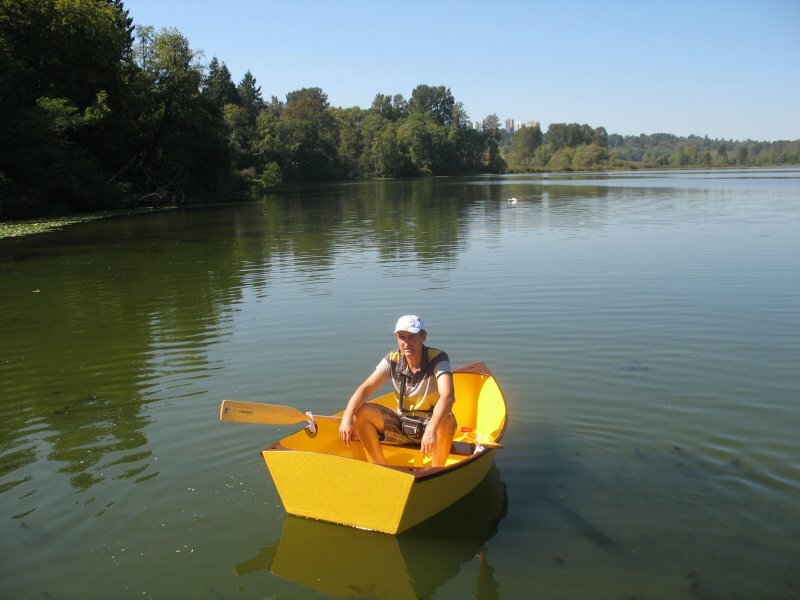 It can also be fitted with a small outboard motor. 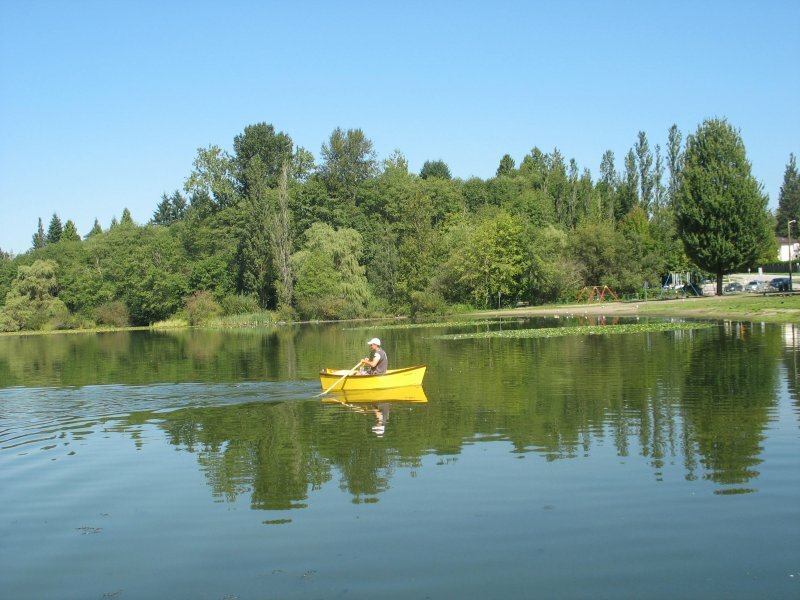 The boat has a relatively high freeboard and can take a fair amount of load. It handles very well small waves or wake caused by powerboats. Due to the flat bottom and a beam of 4′ (1.2m) has high initial stability. The interior seating arrangement can be modified if desired but I wouldn’t put more than two persons in this boat. 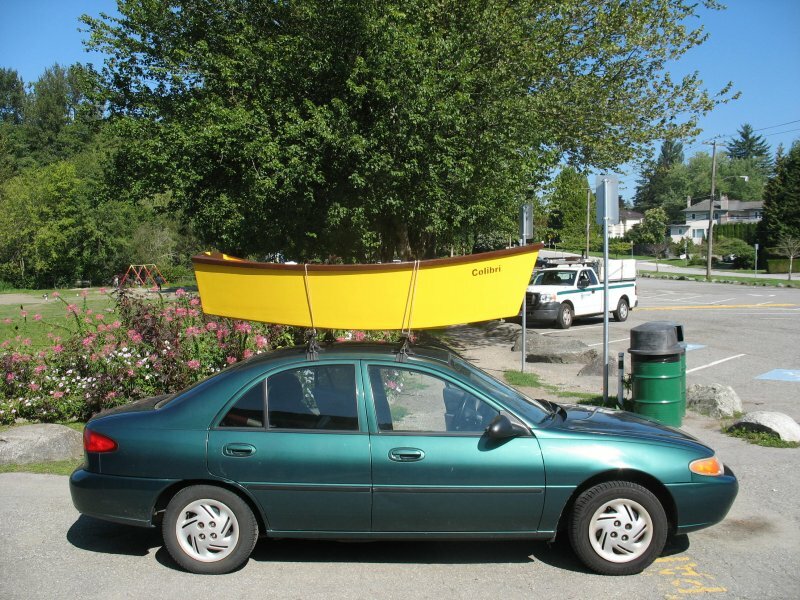 The finished hull weighs around 48 lbs (22kg) if made of exterior grade pine plywood and therefore can be easily car topped. 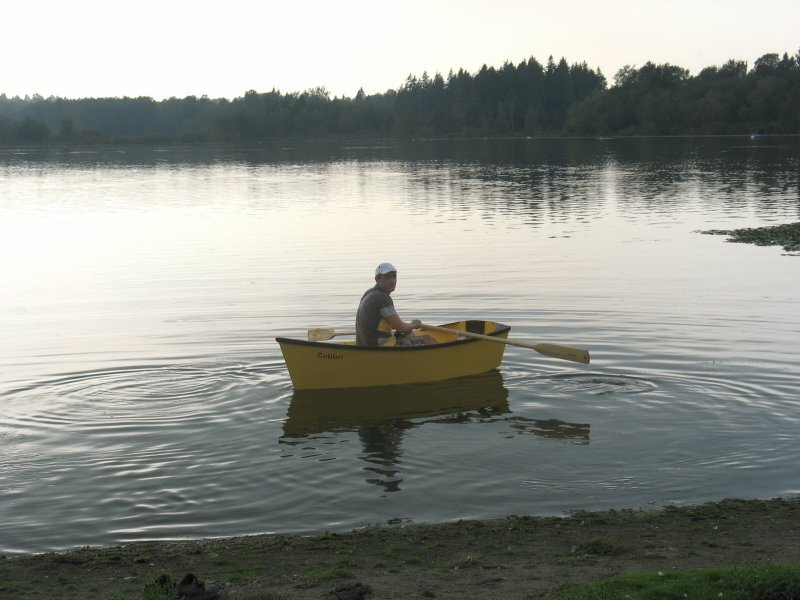 The boat can be built for less than $200 CAD (2013). Price is $20.00 CAD. After payment is processed you will receive an e-mail with two PDF attachments - drawing and work instruction.